SoftSwiss is an Austrian software company providing innovative turnkey solutions for iGaming and eCommerce. The company was founded in 2008, and today, it has over 30 employees specialising in information technology, mathematics, and design. It offers software services to international customers. SoftSwiss provides consulting services and software products to companies operating in e commerce and gaming sectors. Softswiss software can be used as an end to end casino solution, or can be integrated into an existing casino platform. The software boasts of scalability, stability, and high speed performance. It is available in 23 different languages, and can be used in both online and brick and mortar casinos. The software is designed to accept payments in multiple currencies. SoftSwiss gaming applications have a relatively small selection of games, but all of them have amazing graphics and pleasant sound. There offerings include slots, video poker, and roulette tables. All there 30 games are available in full HD. They allow third party integration, and offer advanced customisation options. SoftSwiss also offers gambling licensing support, and technical support to its clients. What are the popular products offered by SoftSwiss? SoftSwiss products include Bitcoin-enabled casinos, online casino platform and games, Bitcoin payment processing solution, Online gaming auction software, Virtual horse racing, and others. It also offers services such as igaming consulting, marketing, gaming license support, and custom software development. SoftSwiss offers a diverse range of gaming applications, and its 30 full HD games include video poker, roulette, slots, Baccarat, Blackjack, and others. It offers European, French, and American roulette tables. A popular SoftSwiss gaming application is 5-reel sports Slot, which includes images from a wide variety of sports. In addition to these regular games, SoftSwiss offers a host of innovative casino games such as Sizzling Hot, Hawaii Cocktail, Lucky blue, and crazy starter. Another popular gambling application offered by SoftSwiss is Platinum lighting, which is a non-progressive, 5-reel, 25 payline slot. This game has an interesting gameplay and storyline, which includes historical figures such as Greek Gods and Goddesses. Traditional Greek music and imagery makes the game extremely appealing. What are the key features of SoftSwiss gaming software? SoftSwiss gaming applications are designed to meet the demands of casino operators and players. The software enables smooth, easy, and totally secure payment processing. The source code of SoftSwiss is written in Ruby-on-rails, and the software is certified by iTech labs, which is a reputed Austrian software testing and certification company. The company possesses advanced expertise and knowledge in bitcoin implementation. One of the most important features of SoftSwiss applications is that they have an innovative and attractive game design. The software enables secure financial transactions. Last but not the least, the company offers complete legal, marketing, and technical support. 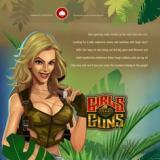 Softswiss is an Austrian company offering a wide range of casino gaming applications. The source code is written in Ruby-on-rails, and the game design, images, and sound are quite attractive. The software is certified by iTech labs, and offers complete security and reliability.